Actress Emmy Rossum recently purchased her first home in New York City, a one-bedroom co-op in a prewar building in Manhattan. The apartment needed a lot of work, so she enlisted the help of Elle Decor and designer Antonino Buzzetta to turn it into a place that felt like home. 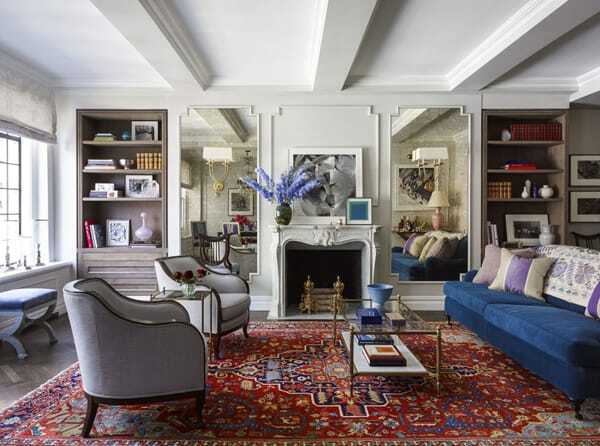 The result is a beautiful balance between charming antiques and an elegant, modern sensibility. Emmy wanted a place that felt fresh and new but had the character of old-fashioned, European touches. While everything in the apartment is new, the choices of decor make it feel like many of the items have been collected over the decades and passed down to her, and the whole vibe is classic and mature. This home tour offers some wonderful inspiration in how to mix the old with the new, even if the “old” is only in style. 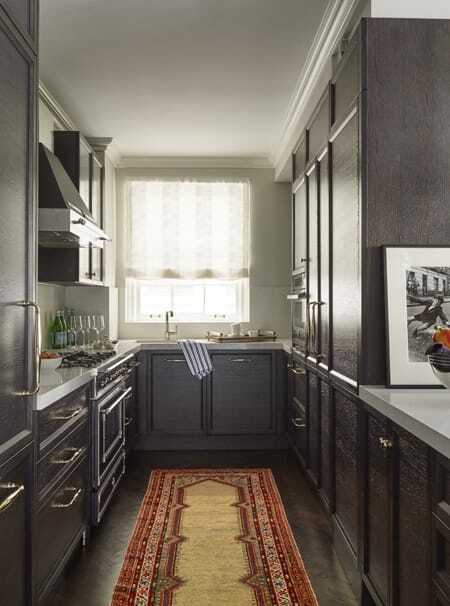 The neutral palette is accented with well-chosen doses of color to createa subdued, sophisticated space. Antiqued mirrors add historic character and help make this living room feel larger and brighter. A lightweight table and blue chairs create an elegant simplicity in the dining room. 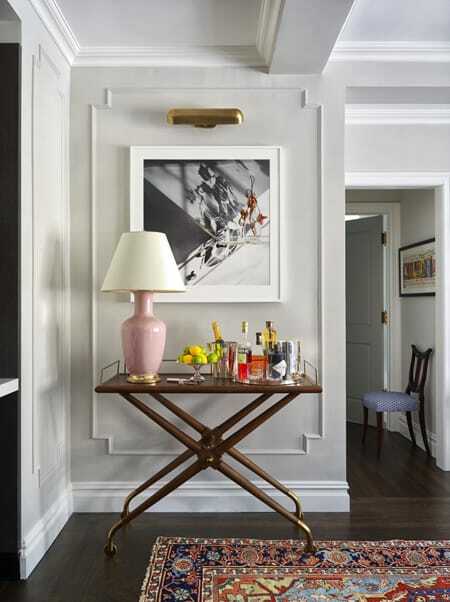 Modern touches, like this bar cart vignette, balance the antique touches throughout the apartment. A red runner brings a pop of color to the otherwise gray and white kitchen. 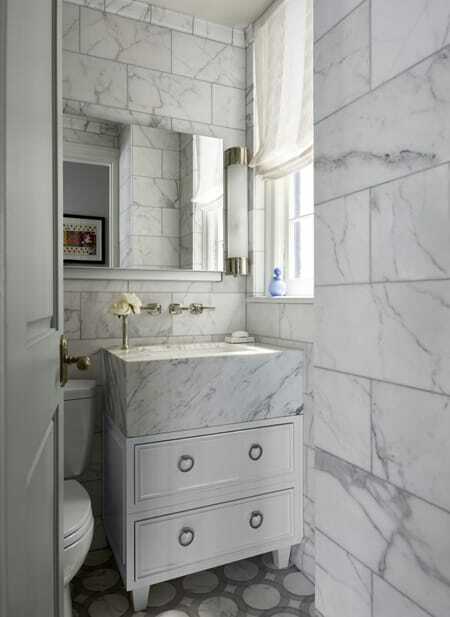 Marble stuns in the small bathroom, making it feel larger with its opulence. A soft blue on the walls creates a serene, sophisticated vibe in the master bedroom. Emmy’s closet is perfectly organized with beautiful wood built-ins that create a nice contrast against the bedroom walls. 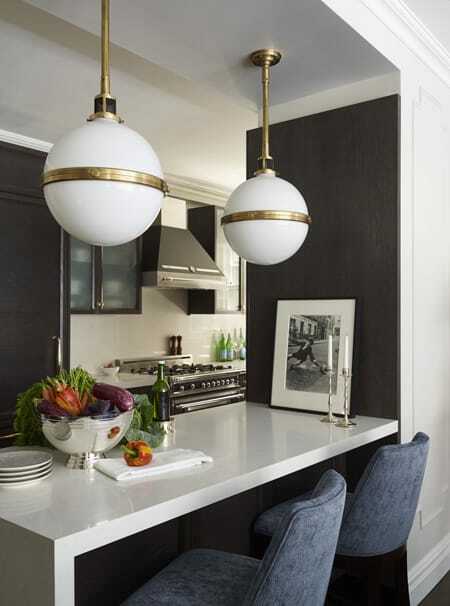 More modern touches can be found in the pass-through from the kitchen, including two large and beautiful pendant lights. If you’ve been wondering how to give a new home some antique charm while still capturing a modern essence, this is a perfect example in how to achieve that balance.